Get re-accustomed to using Python. Explore input/output at a very basic level. All must complete a “Hello World” program, use Python to ask a question and print the answer to screen (input/output) Make sure code is well commented. Most should complete the above, but adding some meaningful comments to the code. 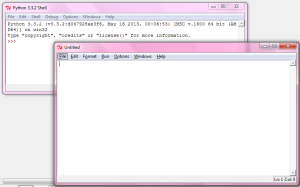 Use Python to perform simple mathematical functions. Your Teacher will explain the structure of the controlled assignment, and explain what you will be expected to do. Let’s get back into Python. You’ve all seen this before, but it is a very good idea to revisit the basics, as these skills are used at ALL levels of the controlled assessment. **Important** Remember that this first window that you see is called the Python “Shell“. This takes care of running your programs. It is not intended for writing your programs in! If you start to type your code here, the interpreter will run each line you type, and soon give you some very interesting error messages! You can now start to type programs into this new window – your programs will then run in the shell. Now click “run”, then “run module”. You’ll be asked where to save your program. Make sure you call it “hello” and save it to your (H): drive (in your Python folder). Now, your simple program runs! Well done! 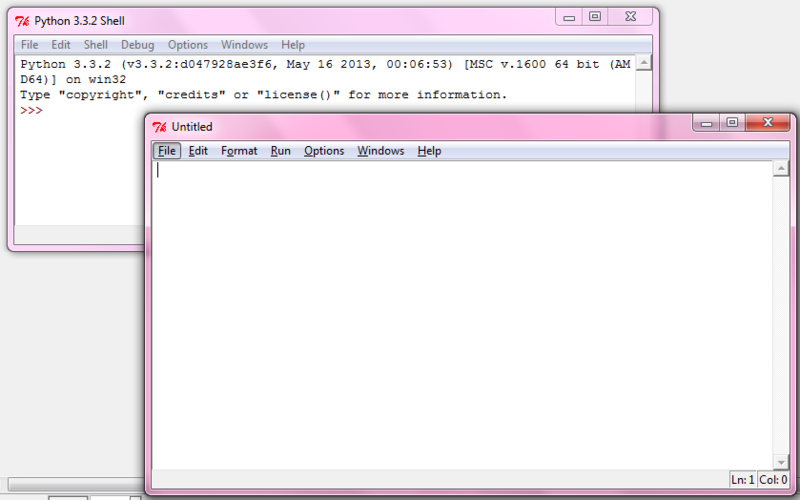 The program outputs our message to the shell window. Now run this. Note how each line of code gives a separate line of output. As we’ve already mentioned, you will constantly need to output messages to the screen throughout your CA tasks!! It will pause here until you type something and hit return. Whatever you type will be saved in a block of memory with the label “veg”. (remember this is called a variable – more on these later!). Next the program will run the third line where it prints whatever value is in the variable labelled “veg” followed by the message “is a really tasty vegetable”. **IMPORTANT REMINDER** Don’t copy code and paste it into IDLE (or any other IDE for that matter) Chances are that characters and symbols will not be quite what you wanted, and your code won’t run! Why do you think this is? I’ve just had a great idea for a program. I’ll open up Python and type it straight into the shell. Is this OK? Why? Test your program before you write it down. Your name is [user’s name] and you are [user’s age] years old! Python Does Maths for you! in the sample code above, what did each of the symbols, + ,- ,/ ,* mean? Now change the numbers a little and see if you can guess what ” ** ” means (clue- think of power…). 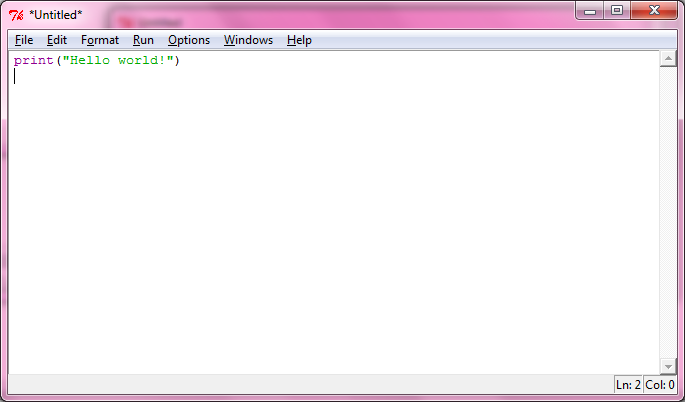 Write a line of code which outputs “2+2=4“. Sound easy? You can’t use the number 4 in your code!! “[my name], 2 plus 2 is obviously 4 !”Again, you can’t use number 4!! What happens when then interpreter reaches the ” \ ” ? It treats the next character as a none-printable character. In other words, the letter immediately after “\” will give the interpreter a special instruction on HOW to display the text which follows. This is an Escape Sequence.